> Finixa paint system: the easiest and simplest system on the market. 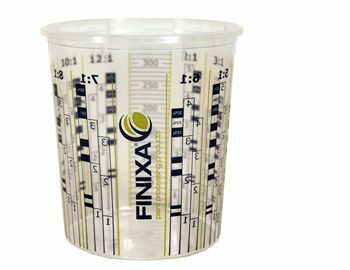 > The lid fits Finixa mixing cups 650ml. > The system can be fitted directly onto the spray gun by means of a quick connect coupling. 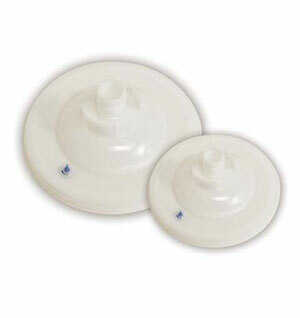 > Supplied with strainer and valve. > Available in 125μm (green) and 190μm (white). > Several adapters for different spray guns are available. > Individually packed in plastic foil and per 50 in a handy dispenser box. > No paint loss/remainders: the cup can be completely sprayed empty. > Easy to fill up. > Substantially reduces the waste cost: less paint remainders, less plastic. > Substantially saves money and time to clean spray guns. > Fit for both solvent and water based paints. – Paint strainers coarse (280μm) color code GREEN. – Paint strainers fine (190μm) color code RED. – Paint strainers extra fine (125μm) color code BLUE. > Each available in 3 different sizes (packaging) 4x250p., 250p. or 100p. 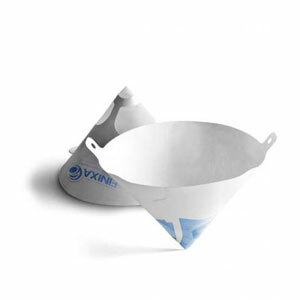 > Paint strainers are suitable for use in combination with solvent based and water based paints. > No equal on the market ! > 10 different mixing ratios. > Base feet against cold transfer during mixing. > Stack supports for easy separation. > Dispenser in stainless steel separately available. > Fitting lids that close even better. > Also available as a storage cup in untransparent black plastic.